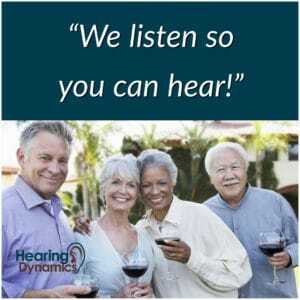 earing Dynamics spends a lot of time educating our patients on hearing loss and hearing aid solutions so that you get the best hearing healthcare and hearing aid performance when investing in our company and its products. We realize that we provide you a lot of information in a limited period of time during your scheduled appointments. Therefore, we recommend you educate yourself on important hearing loss and hearing aid subjects. To allow you to absorb and review some of this information concerning a wealth of hearing subjects, please take some time while at home to watch these videos. This video outlines how we hear, the different types of hearing loss, and the effects of hearing loss on everyday communication. The video also reviews how to understand hearing tests results. It is a great overview for both the hearing-impaired person and his or her family. It is part one in a series of hearing aid instructional videos, so be sure to watch the communication strategy videos below. In this video, an audiologist with severe to profound hearing loss shares six tips for listening. These tips will help you communicate more effectively without alienating others. Hearing aids are only the first step in becoming a better communicator. What can you do when you can’t hear? By the end of this video, you’ll know exactly what to do. In this video, an audiologist with severe to profound hearing loss continues her discussion on communication strategies and having the appropriate expectations. Hearing loss is an invisible disability and is ironically misunderstood by people with normal hearing. Learn these listening and conversational tips, and you and others will communicate and socialize more effectively.